You know that feeling you get when you come to a new country for the first time and it’s like you’re basically soul mates? That’s how I felt the instant I arrived Belgium…My friends from The States were traveling to Europe for a summer trip, and I tagged along for a short weekend getaway. 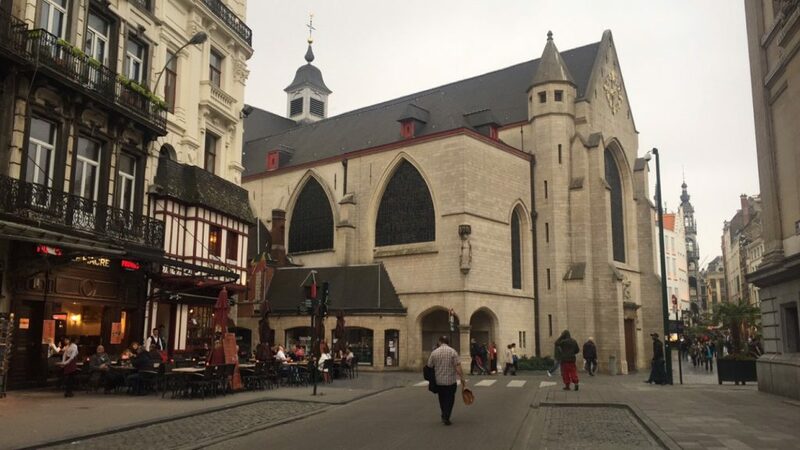 It was a weekend of many firsts: first Eurostar trip, first time in Belgium, first time trying Juplier, first time eating proper Belgian chocolate, first time drinking La Trappe in a bar in Brussels, etc. When I got to Brussels and into our spacious Airbnb, 2 of the girls were already asleep due to jet lag. My childhood friend, T and I went to catch up in a nearby bar. It was so good to see her, in this gorgeous city square. 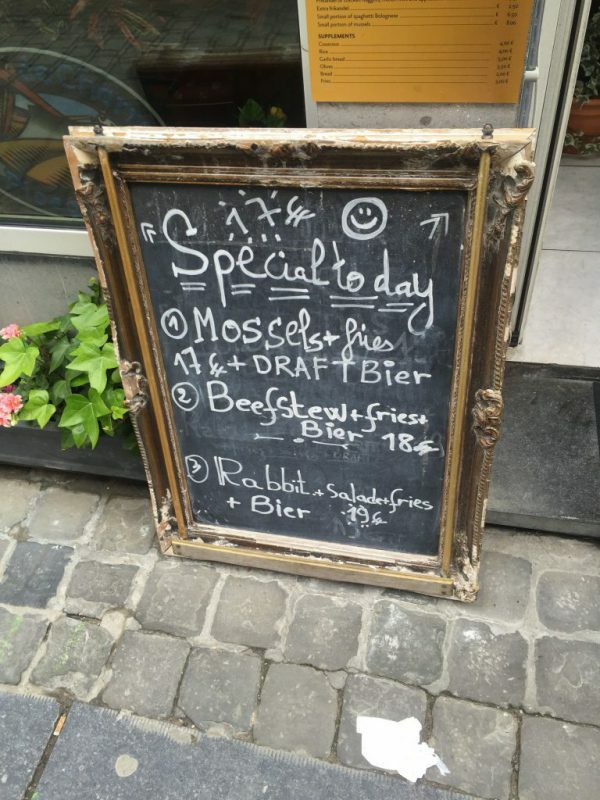 Equally as amazing was the fact that we were drinking crisp Belgian beer on a very hot and muggy day. 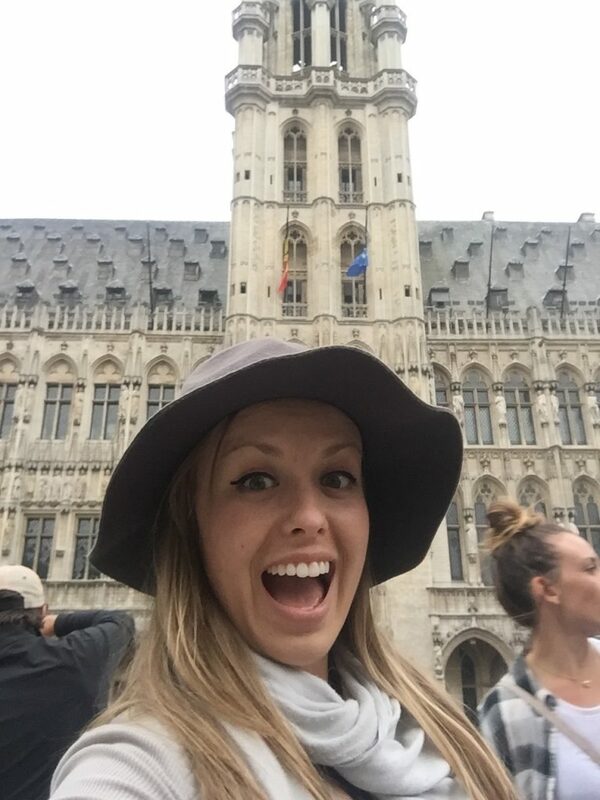 Our agenda for the weekend included a bar crawl in Brussels and a day trip to Brugge. 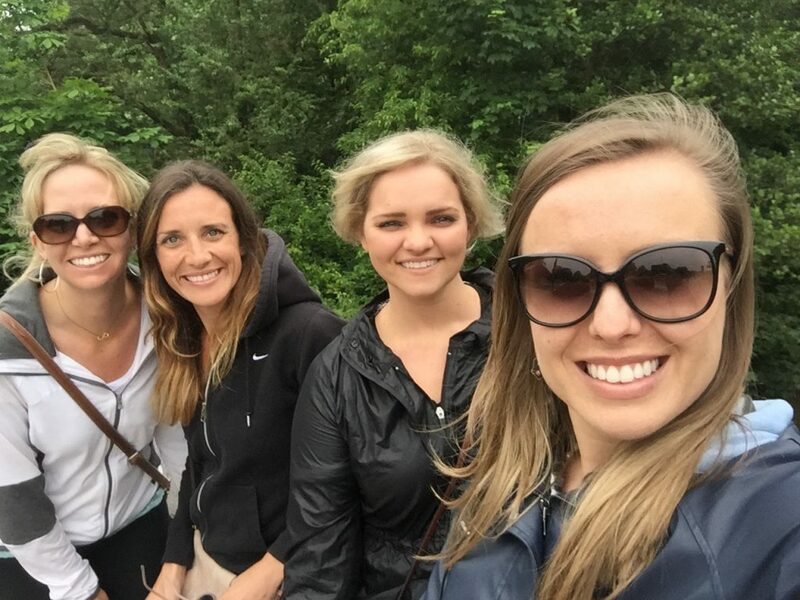 Sunday, we were parting ways – they left to Amsterdam and I, back to Hull. Our Bar Crawl started out in an awkward circle. It became a session of “let’s make fun of the Americans” but we took it in stride. They have every right to make fun of us if the beer that we are known for is Coors. One of the best things about that bar crawl was the people we met. There were guys from the Netherlands, India, an Australian, some Germans, and a few other Americans. One of them was really cool -She had an awesome story. 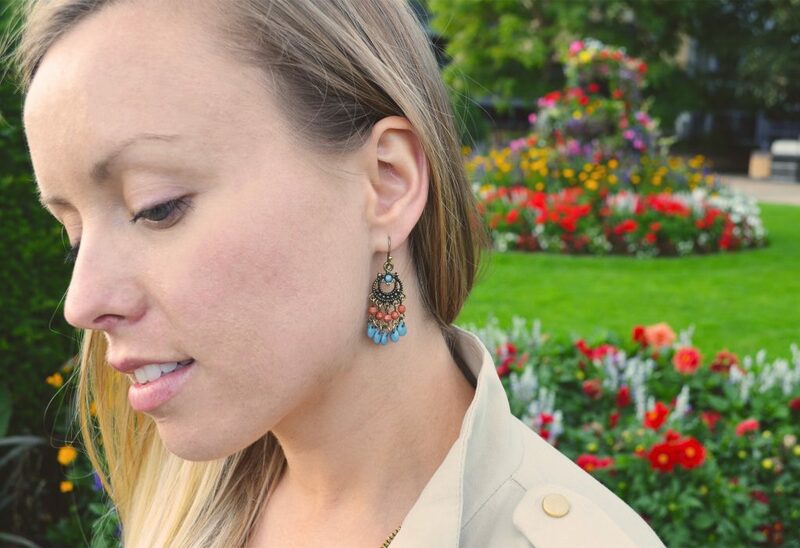 She quit everything and decided to go travel for several months. I always admire people who do that, because that’s something I would have loved to do. 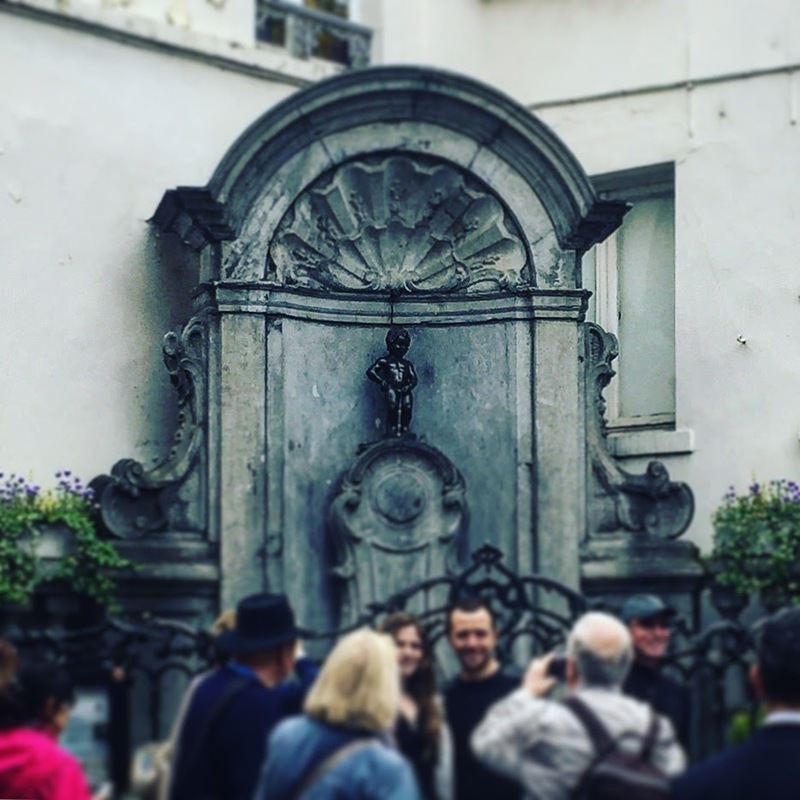 Mannekin Pis is another touristy stop. It’s basically a statue of a little man peeing. There are a couple of legends associated with this little guy. One was that he was a 2 year old lord whose city was under attack, and his people hung him over the enemy and he pissed over them, encouraging his men to victory. Another funny one is that the city was under siege by a foreign army. A little boy saw some enemies trying to set the city on fire by having explosives go off. He peed on the fuse, foiling their attack, and thus saving the city of Brussels. 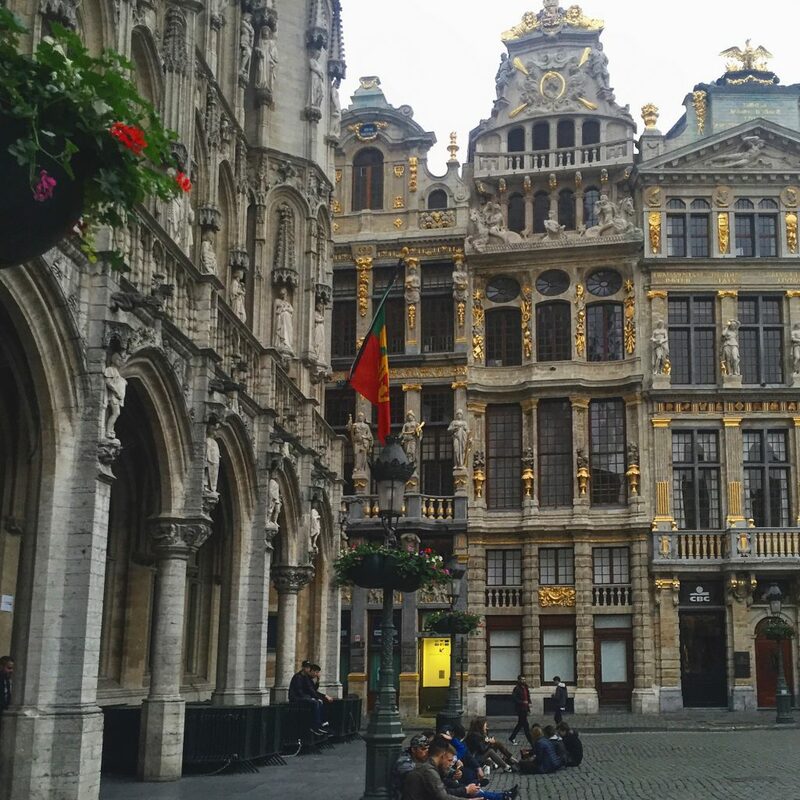 Another interesting thing about Brussels was how modern and creative it was. A lot of buildings around the city had random murals and graffiti-art. 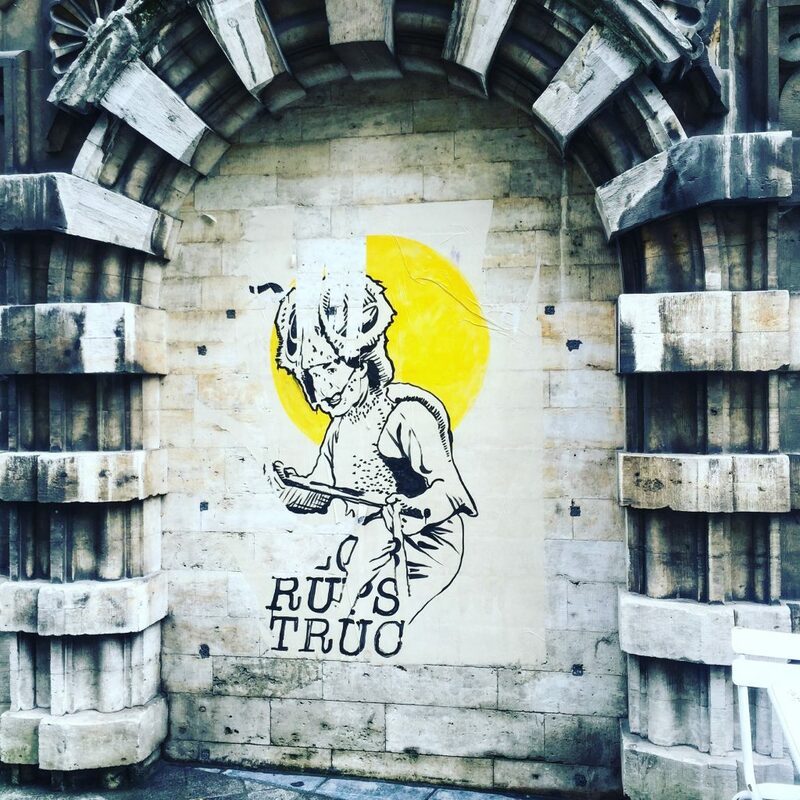 I thought it was interesting, and added a very artistic and hipster vibe to this ancient city. 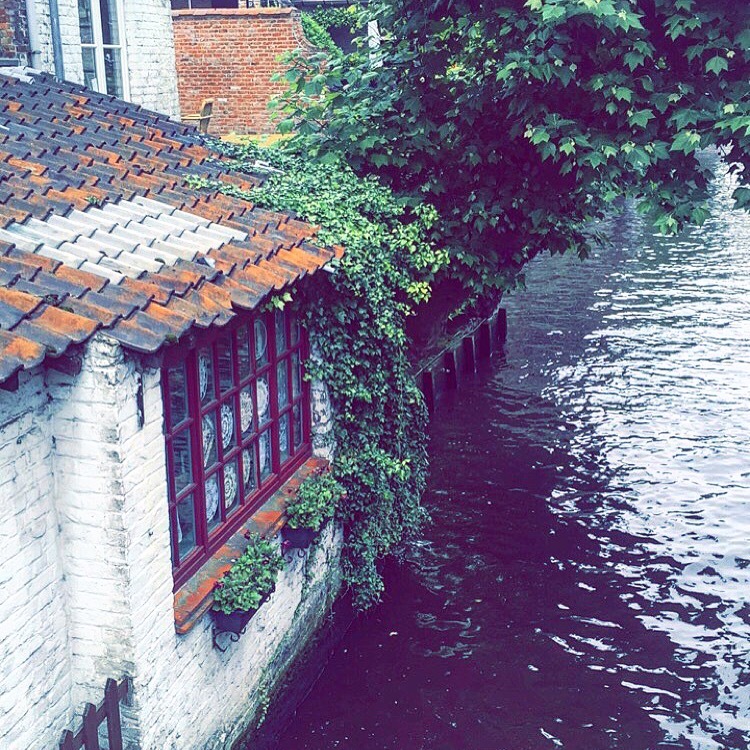 Our day trip to Brugge was really short but sweet. I mean sweet literally, as there was plenty of sugar consumed. 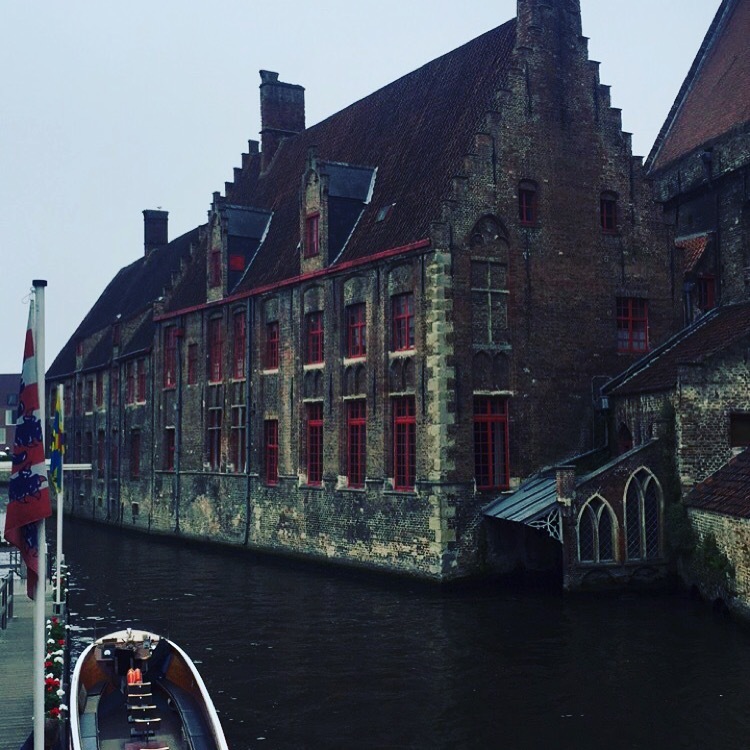 The architecture was pretty amazing and the canals were breathtaking. I forget that Amsterdam is not the only European city known for its canals. I had to resist buying a load of sweets. 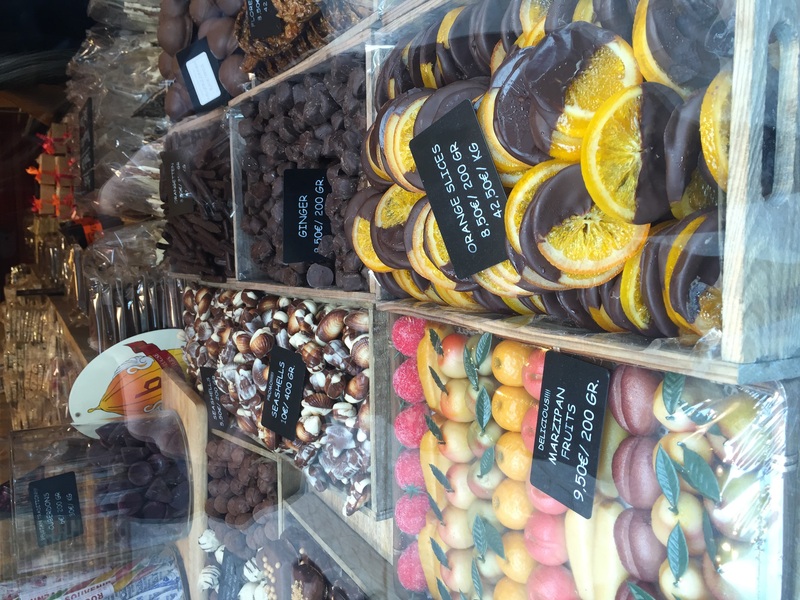 Every corner you turned there was a Belgian chocolate shop. As you well know, I am an addict to chocolate, and all things sweet. 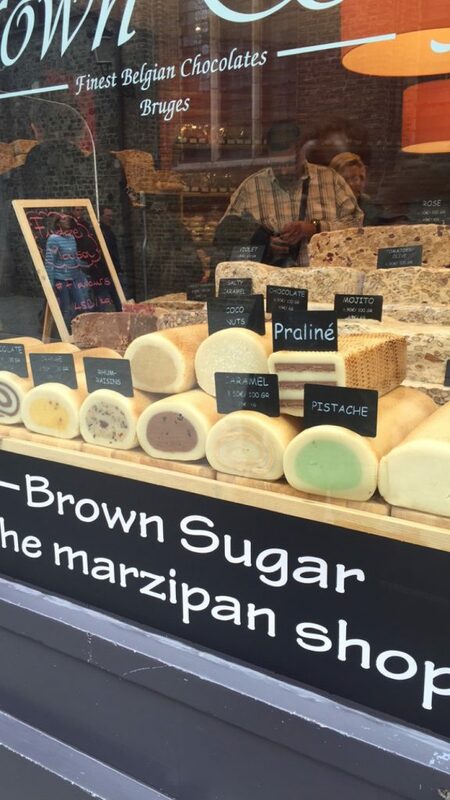 Additionally, I love marzipan, and everything in that store. If you want a real treat and love almonds, I suggest you try it. I can’t really describe what it is accurately – it’s an almond doughey thing. The first time I had some was in Toledo, Spain, and have been craving it ever since. 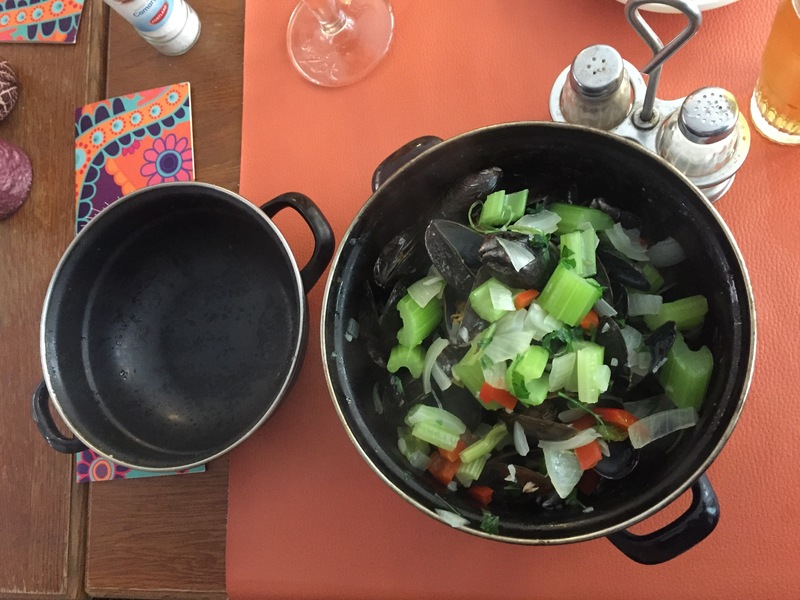 I also ate mussels (which I’ve had better) but they were still delicious. 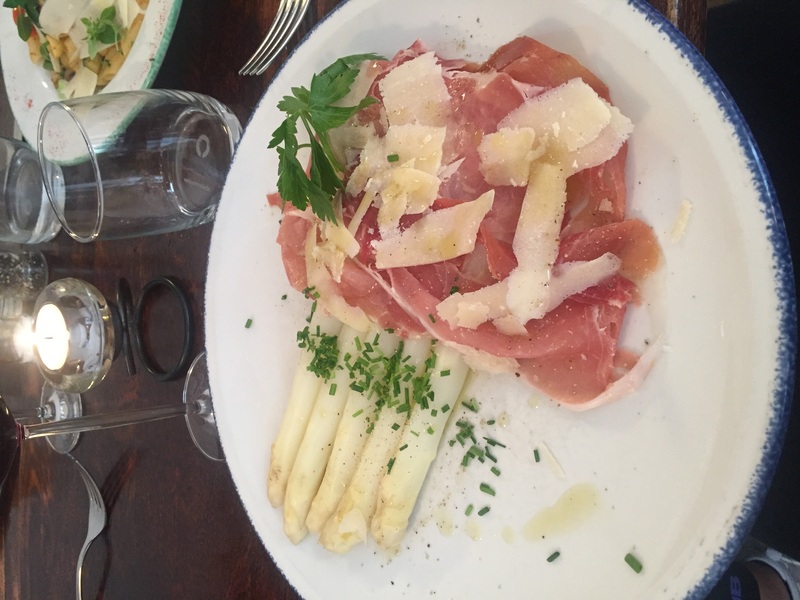 Additionally, I had Carpaccio with asparagus in Brugge. That was a winner. 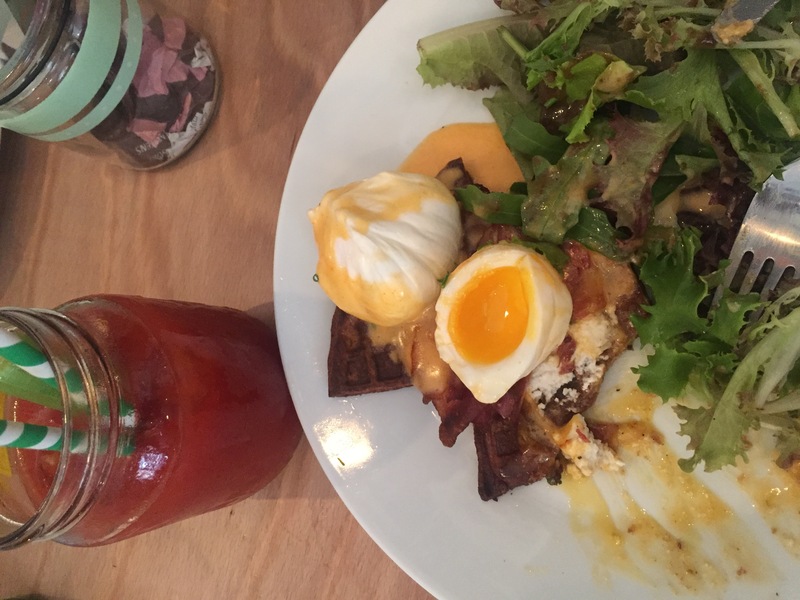 I discovered the best brunch place ever… It’s called Peck 47, and the food was SO good. It’s on my list of places I have to eat at again when I return to Brussels.